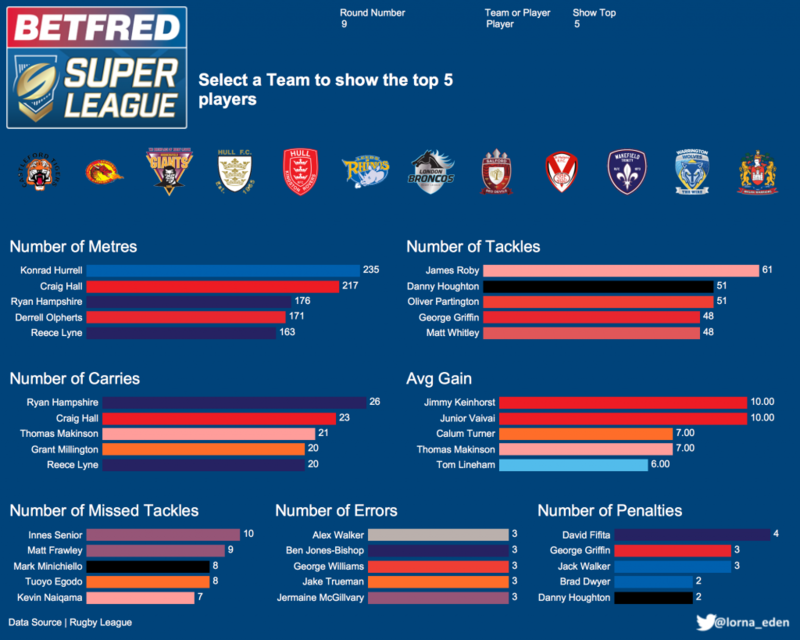 James Roby made an incredible amount of 61 tackles in round nine of Super League. A few changes in the league table this week. After St Helens losing at Catalans, Warrington take top spot. Castleford and Wakefield remain in third and fourth. 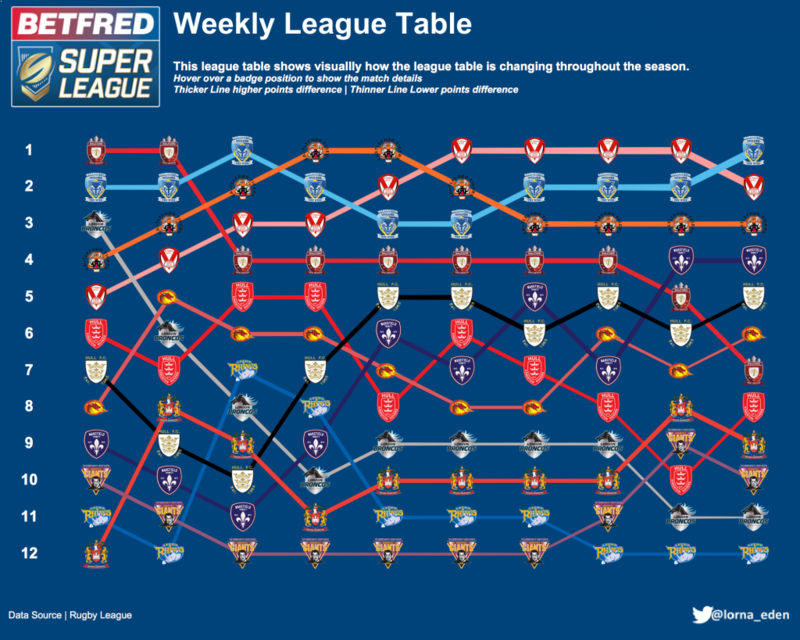 Hull FC and Catalans move up to fifth and sixth, which pushes Salford down to seventh. Hull KR move up one spot to eighth, and again pushes Wigan and Huddersfield down to ninth and tenth. London and Leeds remain in 11th and 12th respectively. 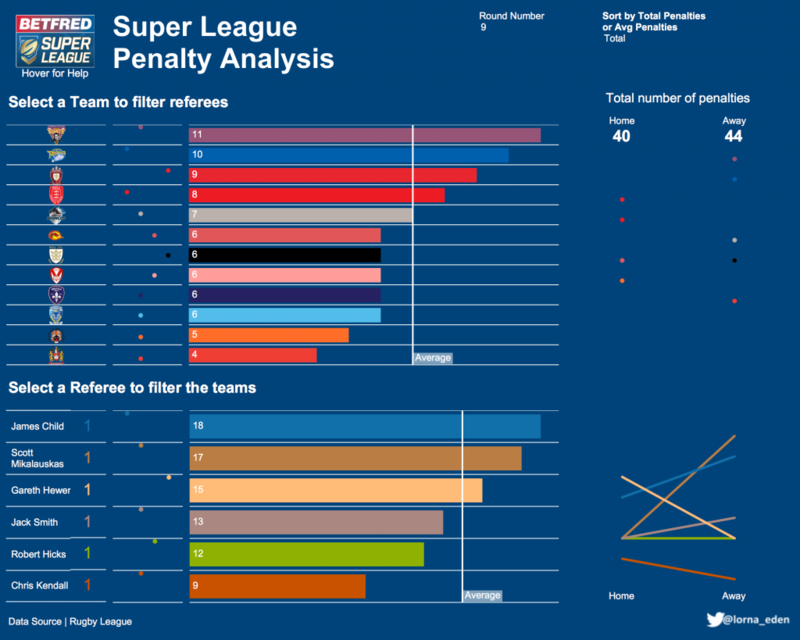 This week Huddersfield sit at the top of the penalty table, having given away 11 penalties. Wigan sit at the bottom conceding just four penalties. Home and away teams gave away nearly the same amount of penalties. James Child gave away the most penalties with 18, whereas Chris Kendall only gave away half of that. 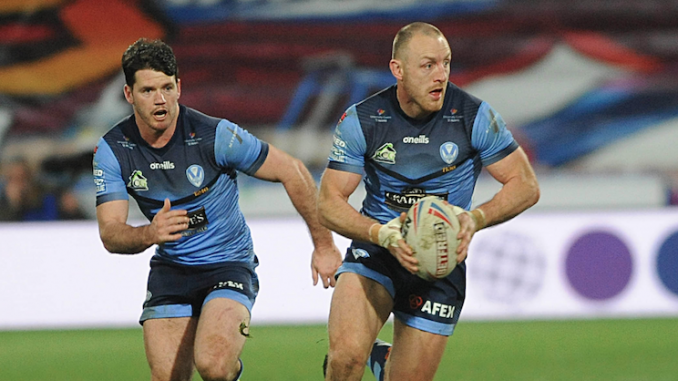 Konrad Hurrell (Leeds) and Craig Hall (Hull KR) ran over 200 metres each. James Roby (St Helens) made a season breaking 61 tackles against Catalans. Ryan Hampshire (Wakefield) made 26 carries. Jimmy Keinhorst and Junior Vaivai (Hull KR) have an average gain of 10 metres per carry. Innes Senior (Huddersfield) missed a total of 10 tackles. Six players all made three errors each. David Fifita (Wakefield) gave away the same amount of penalties as the Wigan team (four).